Elaine looks forward to Friday lunch. Not only does she enjoy skipping cooking, she catches up with her friends. David is one of over 100 volunteers at Uniting AgeWell. 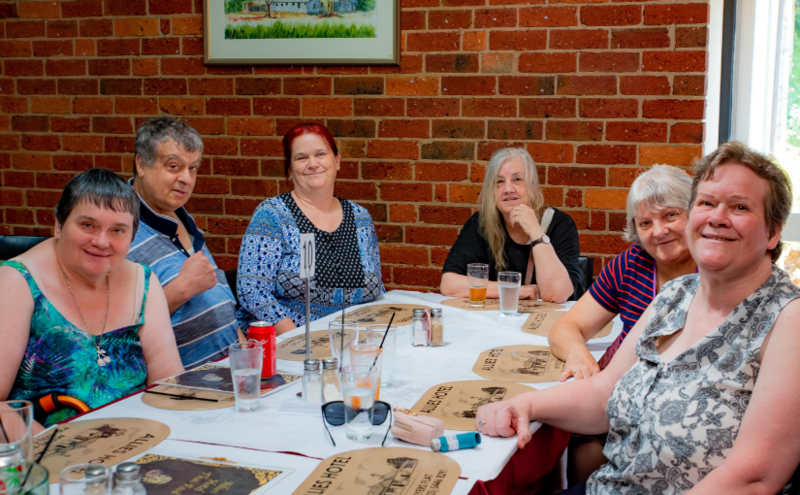 He started volunteering with the support of Creative Links, a Golden City Support Services program, which helps people to connect people to their interests in the community. He first began volunteering on a Thursday in the laundry, but soon decided that this task wasn’t the best fit for his skills. As a well-known and loved artist with CreateAbility’s Performance Ensemble, David was naturally drawn to the weekly singing group. Volunteer Manager Kerry says that when David first started he seemed very shy, but since he has been helping out with the singing group he has made lots of friends and accompanies the singing with his guitar. He never knew that he could paint. It is a new passion that gets him up every day. “Before I tried painting at the Access Creative Studios I was just sitting at home; now I am motivated,” he said. 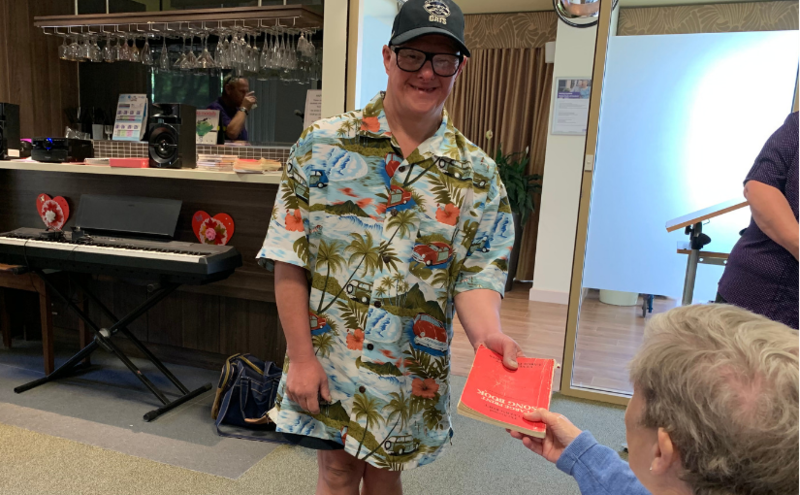 Tammy, Wayne’s Golden City Support Services Support Coordinator, suggested that he might like to visit and see what happens at the Access Creative Studios. At first, Wayne admits he wasn’t sure about this idea but found he felt comfortable at the studios. “I have made new friends here – it is like a little family,” he said. Wayne wants his viewers to enjoy his artwork and realise that painting is something that is worth doing. 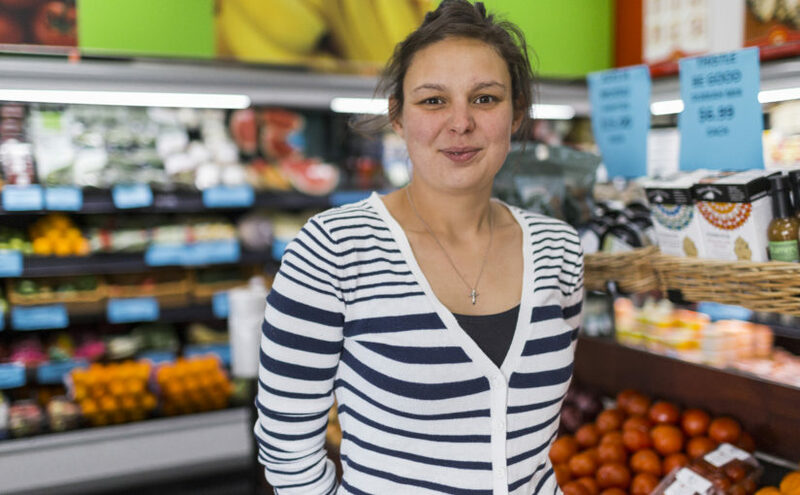 Melissa Gordon-Cooke’s small business “Mels Munchies” has been operating for several years now. One of Mel’s favourite parts of any workday is counting the earnings and banking her proceeds. Over quite a few months, Mel slowly developed a rapport with bank staff at the Strath Village Branch of the Commonwealth Bank. 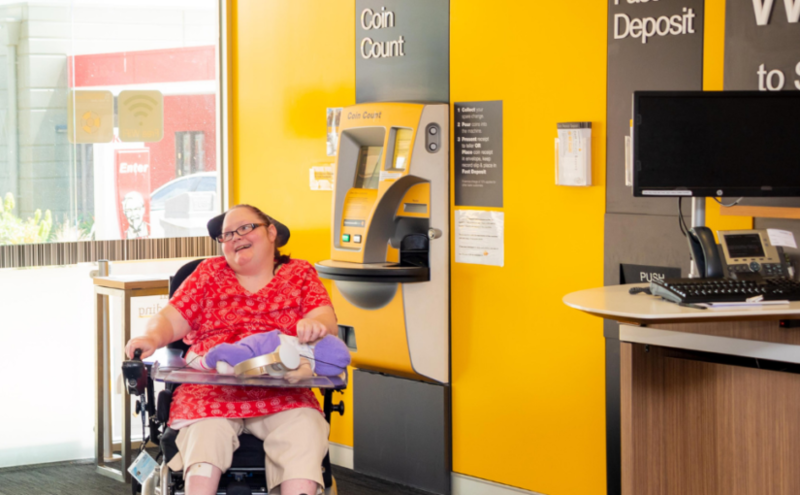 Mel’s confidence to bank independently continued to increase, and Mel especially enjoyed using the automatic coin deposit machine. However, a small hitch became obvious. The bank had located a small fixed table adjacent to the machine. This table was a convenient place for ambulant customers to place items but made it impossible for Mel to position her wheelchair close enough to the device to reach it without some form of hand on hand support from staff. As a result, Mel started asking to move to another bank. With support and encouragement, Mel explained to the bank staff what the problem was and even had a face-to-face chat with the Branch Manager. Several weeks later, Mel entered the bank expecting to have the “same old problem” only to discover that the table was relocated – solving her problems of access to do her business banking. It happens to all of us – sometimes the same routine stops giving us challenges and meaning, and we are ready to try something new. Ross, a man with a disability, has been attending the same day program for over a decade. He was ready for a change, to try new activities and meet new people. 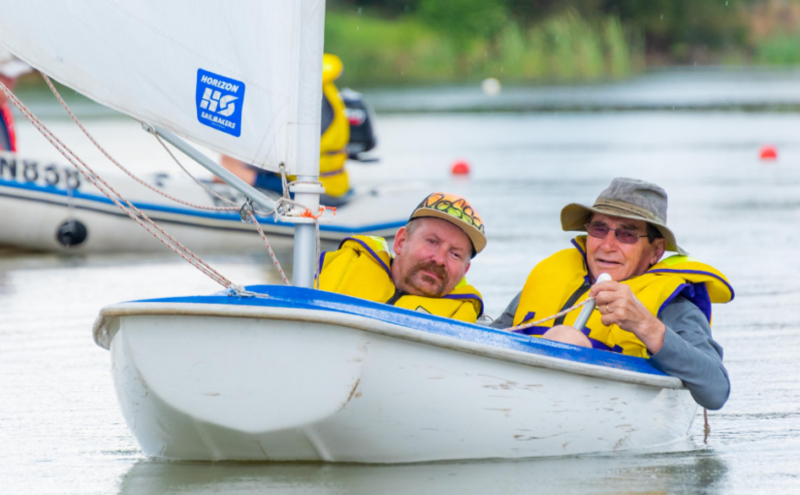 With his new NDIS Plan, that provides for one on one support, he is actively making a change in his life and choosing to try new activities indoors and outdoors. Maddie, Ross’s support person, found out about Sailability on Facebook and suggested it to Ross as one activity he might like to try. Ross is developing quite a knack for creative crafts and is enjoying expressing himself through this. 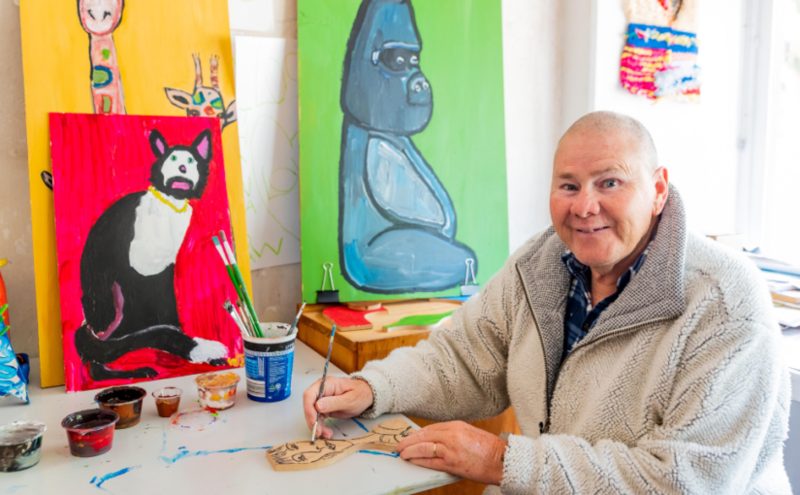 Getting into making and creating has given Ross an opportunity to exercise his hands and arms more frequently with a noticeable increase in his motor skills. As a result, Ross has become more independently mobile and confident in the use of his wheelchair. This is a bonus for Ross. With increased mobility and confidence he is going out with his partner more often. Tam’s housemate Paula inspired her to start cooking. 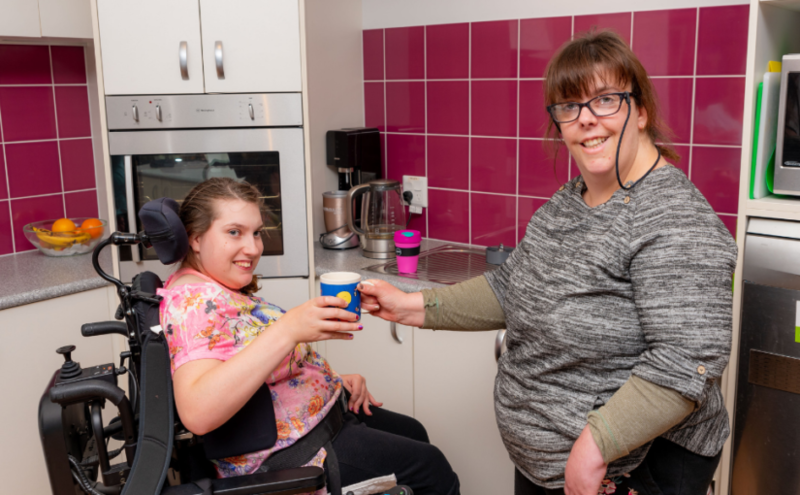 “When I came around for a sleepover she was baking,” says Tam, a young woman with a disability, who recently celebrated her 21st birthday. “I feel happy when I give to other people,” says Tam. Making a cup of tea for her flatmate is just another one of the nice things she likes to do for other people in the kitchen. Justin is growing in his confidence. Justin is a young man with a disability who is supported at his regular job delivering newspapers and to do his household shop. Over time, with support, Justin has begun to feel more independent. He is thinking about having less support in his regular activities like shopping to that he can have support to try a new experience. He thought he would like to go to Melbourne. Justin planned the support he needed to make the visit to Melbourne. 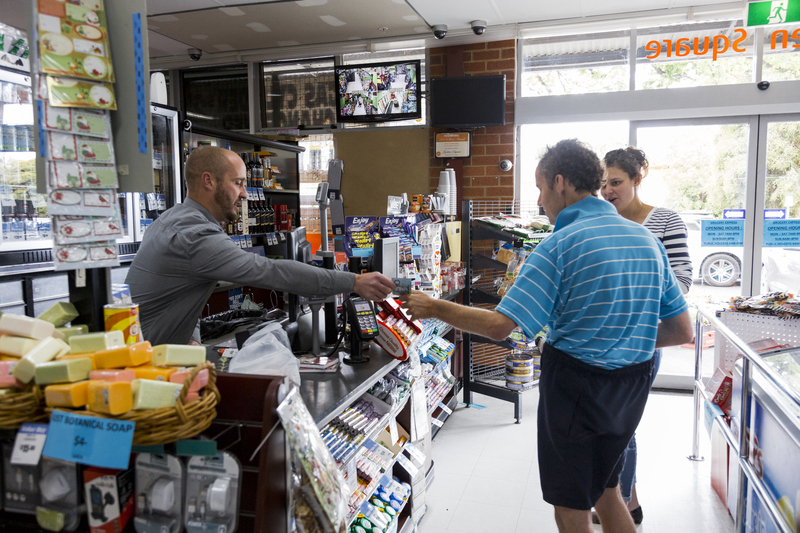 Because of his confidence to shop independently, he decided to do his shopping without to support and save up his support hours for a trip to Melbourne. “My favourite thing about Melbourne was patting the horse and talking to people on the train, I enjoyed the fish market and spent a lot of money on sushi,” Justin said. Can you imagine going shopping without being able to ask anyone a question, or hear his or her answer? Communication is important for everyone to express what is important to others and in return actively listen to other people to understand what is important to them. 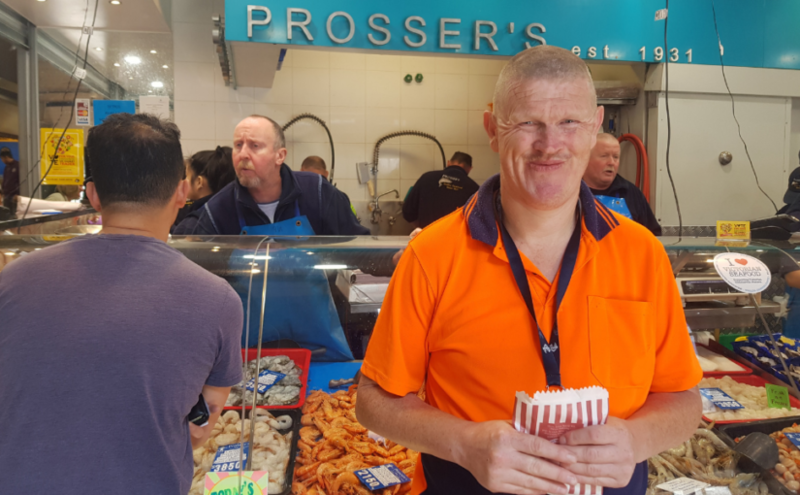 “I like to go to places where people can do some signing.” Colin is deaf and Auslan is his language. Together with Jimmy, his hearing dog, Colin does his regular grocery shop at ALDI. A hearing dog is just like an eye-seeing dog. When he goes to the supermarket with Colin, Jimmy wears a jacket – that is his uniform and that alerts everyone he is working and they can’t pat him. Golden City Support Services support worker Janelle supports Colin in his day-to-day communications at work and out in the community. “Then, the next week Brad remembered the signs for ‘Hello’ and ‘How are you?’ I showed him ‘How much?’ Then the next week shopping I showed him some more signs! 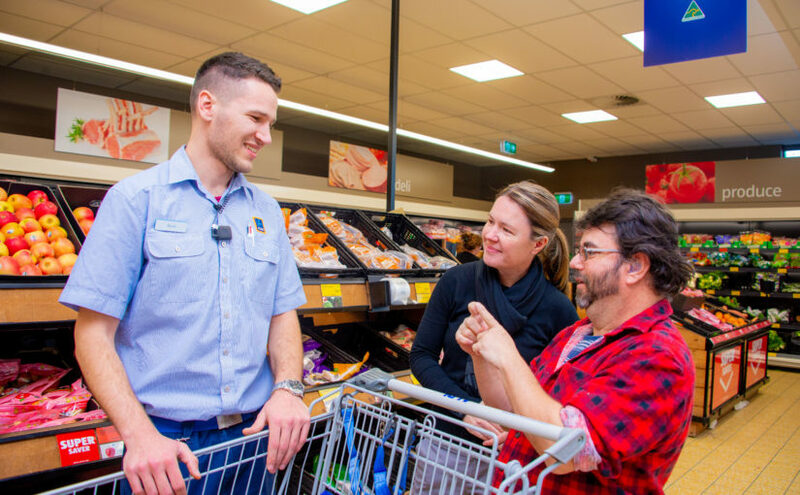 “One day when we went into the shop three different people signed to me ‘Hello’ and ‘How are you?’ – Brad taught people in his team how to talk to me! Above: Colin and Brad demonstrate how to say ‘Hello’ using Auslan. 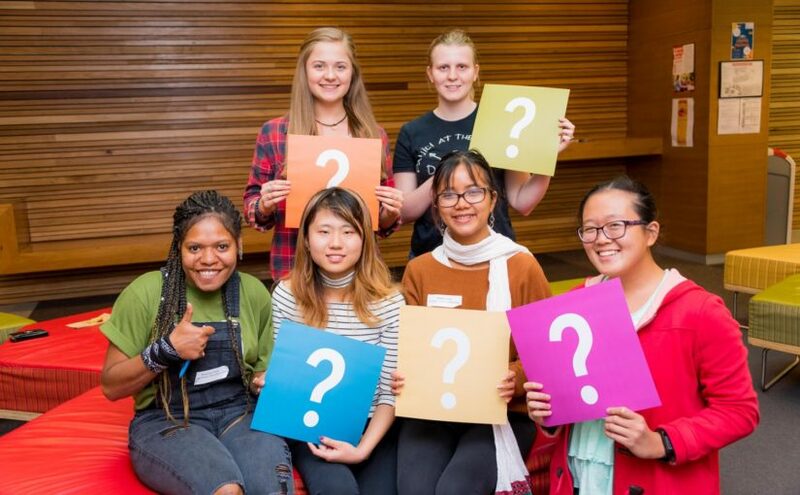 “It was exciting to teach other people my language. To help everyone learn and remember, Janelle and I created a poster for their tearoom of Auslan signs. Above: Colin and Brad demonstrate how to say ‘Thank you’ using Auslan. Above: Colin and Brad demonstrate how to say ‘How are you?’ using Auslan. Here is a great resource that supports learning and conversation between Auslan and English for your ipad. Ebonie Saunders is a support worker at Golden City Support Services. She has been on the team now for six years. She provides daily active support for people who live in their own homes. Golden City Support Services believe that every moment has potential. “Little and often” is one of the four essentials of Person-Centred Active Support practised by Golden City Support Services. Ben shopping, with Ebonie, who is providing Person-Centred Active Support.